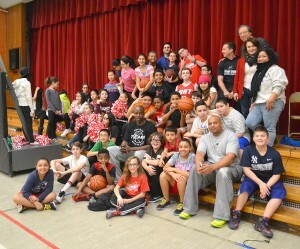 On January 29th more than 30 middle school students at MS 126 got the treat of a lifetime from TeamFirst and Ty Grant. For two hours our students were totally immersed in some serious training. The basketball clinic wasn’t just about hoop shots, it was a grueling physical workout, the essence of teamwork, focus and after all that, skill. Ty and his assisting coach challenged, cajoled, nudged boys and girls in equal measure. And these kids loved it. 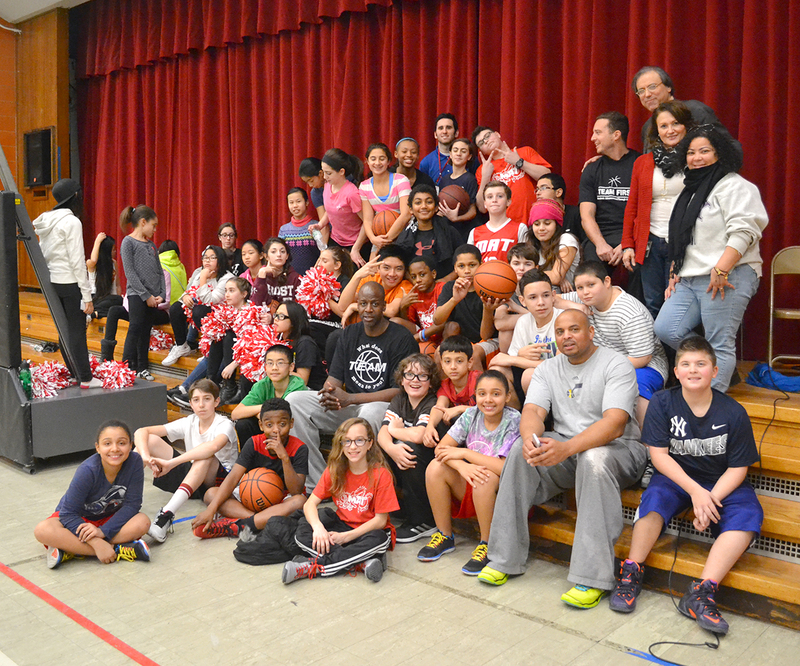 To these Middle School students, it was all that…but we’ll let the pictures tell you the rest.